To be honest, this list was part of the motivation for me to do this theme. Another, as has been the case for a lot of what I’m planning this year, is a not insignificant stack of unseen DVDs and Blus (that I’ve now amazingly gotten through, so far as Disney films are concerned!). To split the films up in this way, should render a lot of these selections immutable, rather than losing sleep over which films crack the top 10. Lastly, a few footnotes: I have excluded hybrid films for the purposes of this list (things like Song of the South and Bedknobs and Broomsticks) because it’s not fair to compare mixed medium films with wholly animated ones. Also, only films by Walt Disney Animation Studios are eligible (So Pixar titles, and things like A Goofy Movie and The Brave Little Toaster, produced by different divisions, but released by Disney are also ineligible) essentially these are the films that were “counted” (e.g. back in the days when Disney would announce its “35th full length animated feature”). Any films I have yet to see will be noted at the bottom. Should I see them between now and next year, I will update the post accordingly. As I tend to say for every list: all things are relative. For the most part I absolutely adore Disney animated films so some films that I love will slip when ranked and be branded with a moniker of “Middling.” That’s a comparative label. Many of them get very high scores on their own. Package films are included and sprinkled throughout. It’s hard to compare a package films to a standard feature narrative so the ranking of some may belie their quality. 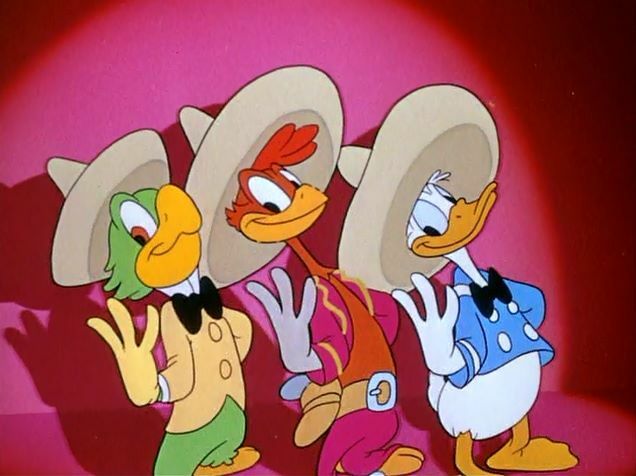 If you’ve not seen The Many Adventures of Winnie the Pooh, Saludos Amigos, The Three Caballeros, Fun & Fancy Free, Make Mine Music and Melody Time they come highly recommended.